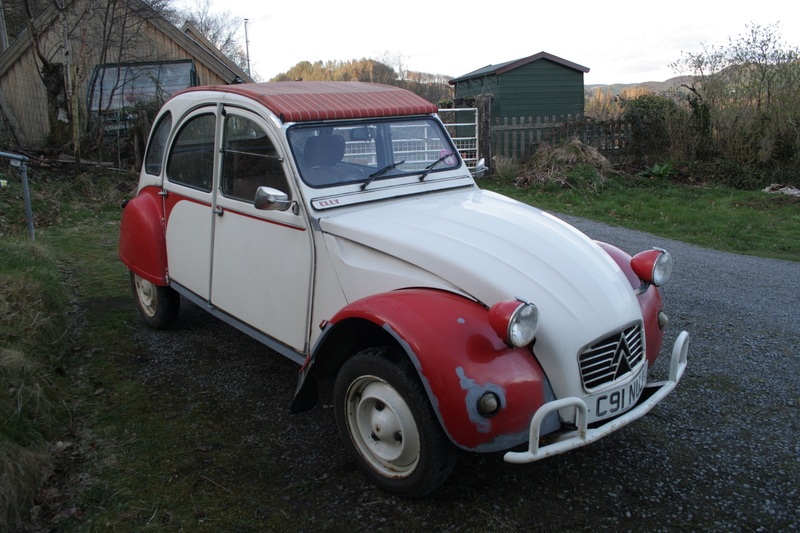 Citroen 2CV – rust-busting – HubNut – celebrating the average! If I make the mistake of looking at my 2CV as an entire vehicle, and adding up how many hours of work the body needs to make it nice again, I get very depressed. So, I’ve tried to stop doing that. 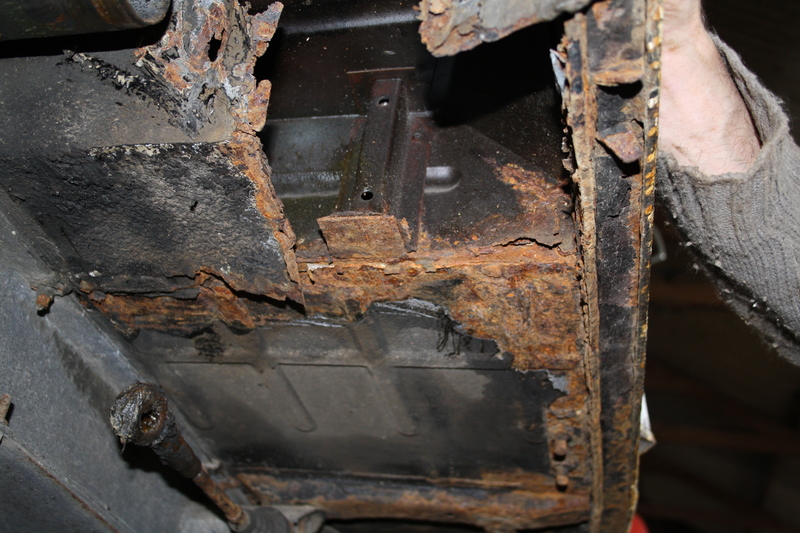 Instead, I decided to get one small bit of rot sorted out before the imminent MOT. Despite the fact that I know well enough that rot-chasing can quickly get out of hand, I was still surprised at the work we ended up doing. I say we, I mostly mean my mate Dave. I helped dismantle, paint and reassemble but he did all the difficult stuff. Dismantling the rear corner was the first job, so the rear suspension arm was swiftly removed and we could get a better feel for the quick plating job that was needed. It’s never good when the floor appears to be hanging down. Naturally, once we started hacking back to good metal, we found more metalwork was needed. The seat box cavity is revealed. 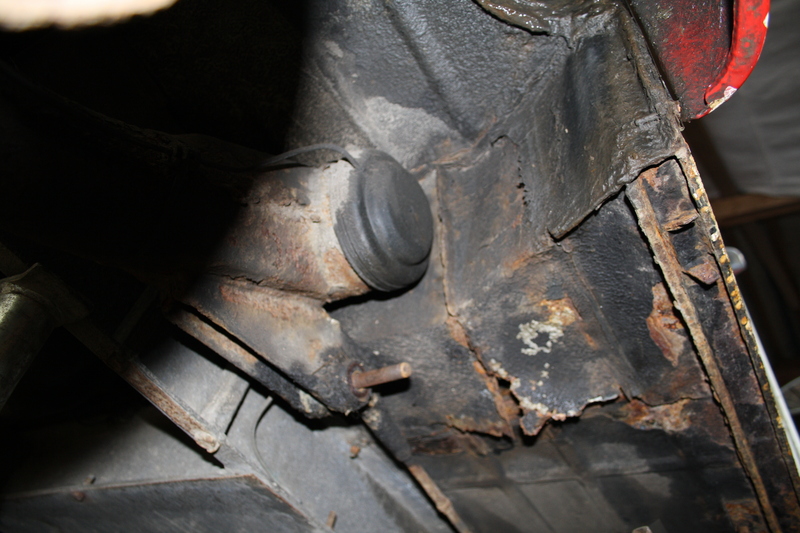 Much more metal needed to be removed though, including a fair chunk of the rear footwell. Time for Dave to get busy. Lacking proper repair sections, Dave carefully fabricated new items out of an old washing machine. Knew we’d find a use for it one day. In the meantime, I accidentally pushed my thumb through the C post. Washing machine sections even the correct colour! As you can see, Dave had to chase some rot up into the seat box itself. These are the repairs before they have been dressed. Note also the hole in the base of the C post, due to my thumb. With corrosion that close to the seat belt mount, I was glad to have spotted it in truth. 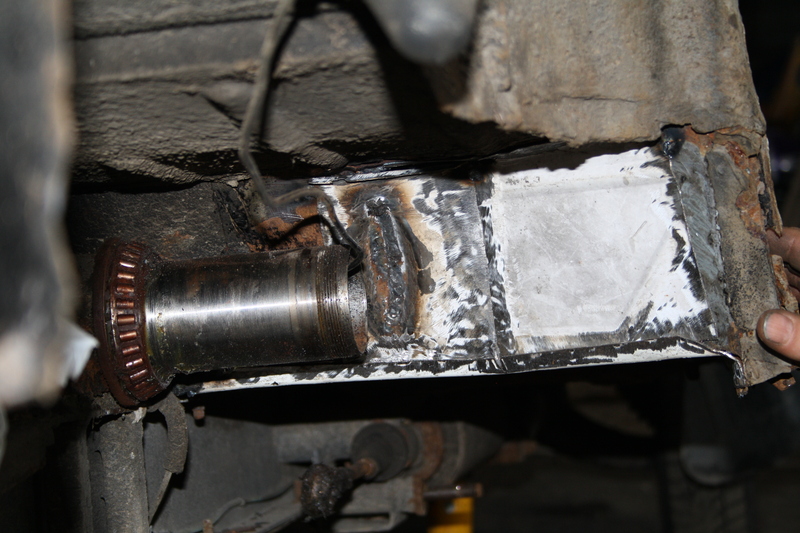 New sections were carefully constructed for the underside too, with Dave even fabricating a ‘dent’ in one panel to clear the suspension arm and mimic the original panel. 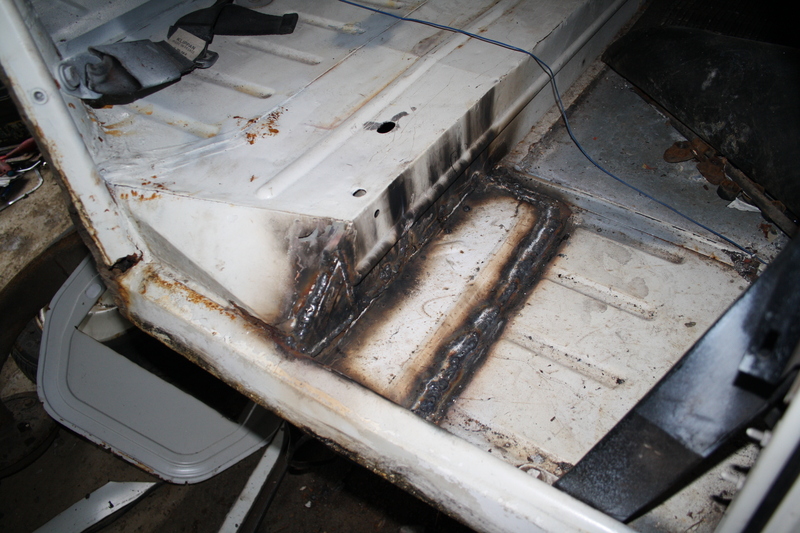 After two days of hard graft, Dave smoothed down the welds, though I wasn’t interested in a ‘factory’ finish. 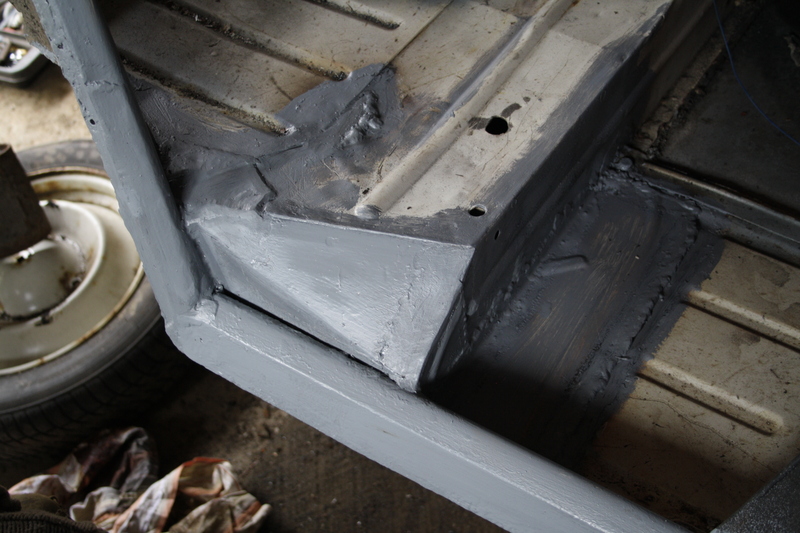 I got the zinc-rich primer out and proceeded to paste it all over the place – including areas we hadn’t touched. I personally don’t mind repairs you can see. With enough time, I think Dave would prefer to make these things invisible, but I like repairs that an MOT tester can see. Hopefully it inspires confidence! I do need to get hold of some paint, but budgetary constraints mean that’s unlikely for a while. Elly is currently in the garage hiding from the rain, but here’s what she looks like at the moment. Now I’ve just got the small matter of getting her through an MOT test. I’d better grease those kingpins!